CHIBA - Francisco Caraballo may know as much about Japan’s baseball back roads as anyone, and armed with that experience, the big Venezuelan is making the most of a second chance with the Orix Buffaloes. As of Tuesday’s games, Caraballo was batting .291 with three home runs and 12 RBIs in 55 at-bats. In 2010, Orix made Caraballo the first foreign player to make the jump from Japan’s independent leagues to Nippon Professional Baseball. He told Kyodo News the initial adjustment to Japan was almost too much for him in the Kyushu Island League in 2009. He got help though, from countryman Alex Ramirez, who was then en route to a second straight Central League MVP award with the Yomiuri Giants. Ramirez, now the senior director of the independent league Gunma Diamond Pegasus, recalled the conversation. 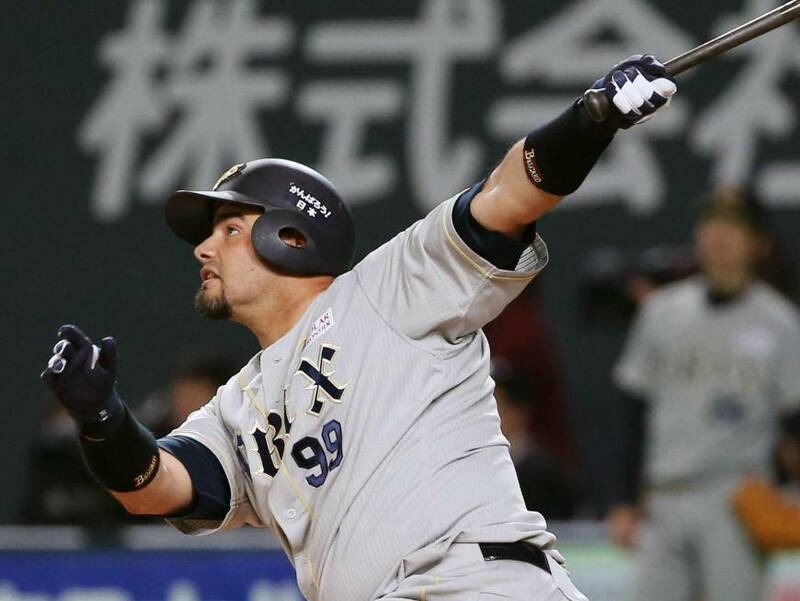 In 40 games with Orix from 2010, Caraballo batted .242 with seven home runs in 124 at-bats. The first season was solid but injury led to a disastrous sophomore season and his release. “The time I was here in the beginning, I didn’t feel comfortable,” he said. Even when I was in the game, I was like, ‘What should I do? What should I do? What should I do? What can’t I do?’ (This time) thanks to the manager (Hiroshi Moriwaki), he gives me a lot of confidence and (it’s) a different atmosphere. I feel more relaxed at the plate. Every at-bat I take it calm. I don’t feel I have to rush. 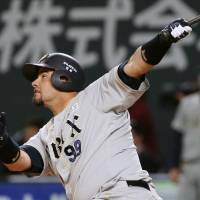 After a season in the independent Canadian-American Association, Japan called again and Caraballo returned with Gunma in 2013. That year, he led the league with 24 home runs and 63 RBIs. Working alongside Ramirez in 2014, he won the BC league’s Triple Crown. Caraballo batted .396 in 2014, while establishing league records with 33 home runs and 87 RBIs in 63 games. Yet, there was no interest from NPB teams. The only door open to Caraballo, now 31, was an Orix tryout. It’s a huge jump between the BC and Pacific leagues, but Caraballo started mashing like he was still hitting in every little stadium between Gunma and the Japan Sea coast.